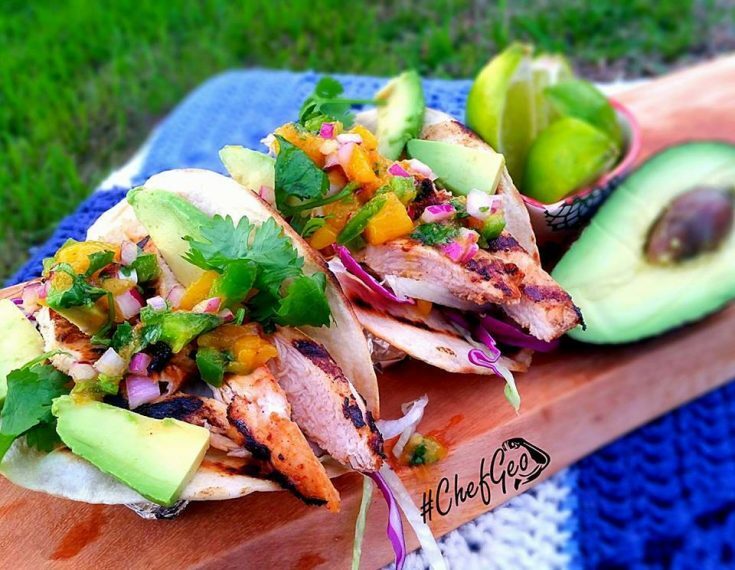 Tacos are perfect on Tuesdays, #TacoTuesday, but really any day of the week. 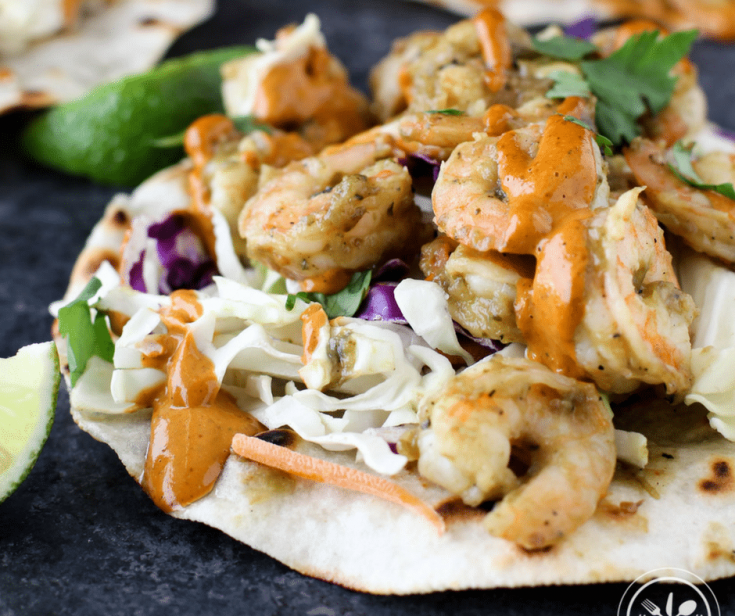 They are one of the simplest weeknight meals and tastiest weekend meals. 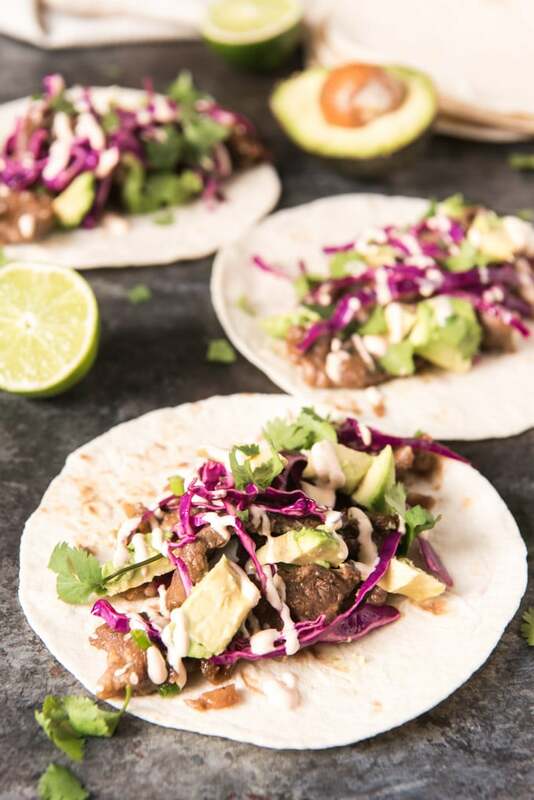 These easy recipes for tacos are perfect for every day of the week! I honestly am not sure how Taco Tuesday got started in my house. I'm pretty sure it began after we moved and I was home full time. I think I made tacos on a Tuesday one day and said it was “Taco Tuesday”. And the next week the kids asked me what we were having for Taco Tuesday and there it began. It’s a tradition I have grown to love. We all love tacos and it has caused me to get creative in figuring out what to have without rotating the same ole things week in and week out. While my hubby would not care, the kids and I get bored with eating the same thing over and over. As I sit here and reflect, this tradition is reflective of what I love about making the move to the south. When we moved I became intentional to do more homemade cooking and having traditions like this one. Things that my kids will remember and maybe carry on. When we lived up north, things were always so busy that I cooked for the whole week on Sundays and we ate a lot of nights out of Tupperware containers. I mean you do what you have to do. And it worked. And I guess that is a bit of tradition as well. One that was part of our survival mode when we were strapped for time. But now we have new traditions and one of them is Tacos!! 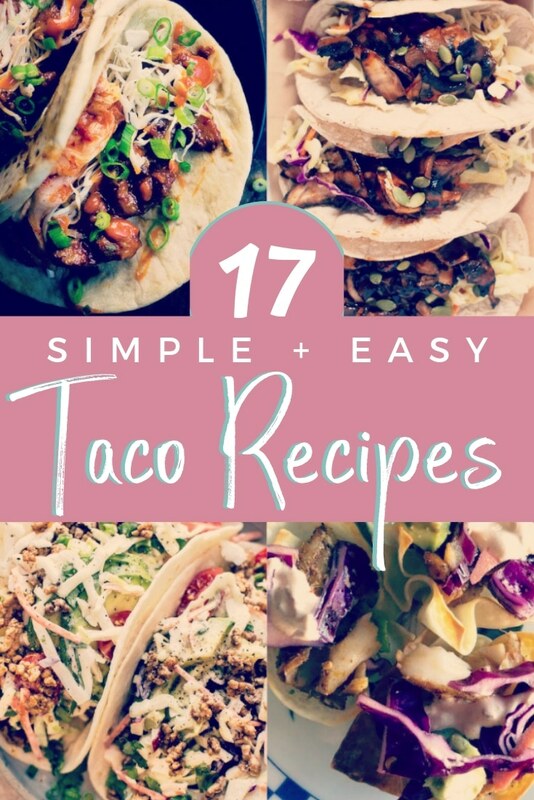 This is a compilation of taco recipes for those of you who celebrate Taco Tuesday or like to have tacos regularly. If you don’t have taco’s regularly, let me tell you why you should. They are fast, easy, tasty and clean up is usually a breeze. 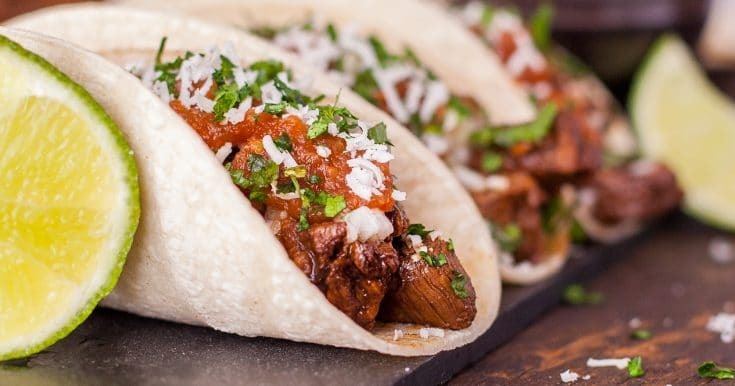 If you think making tacos is messy, I will tell you that after finding taco stands that help in preparing and filling the tacos, the game changed. I strongly recommend them. One of the simplest weeknight meals and tastiest weekend meals. 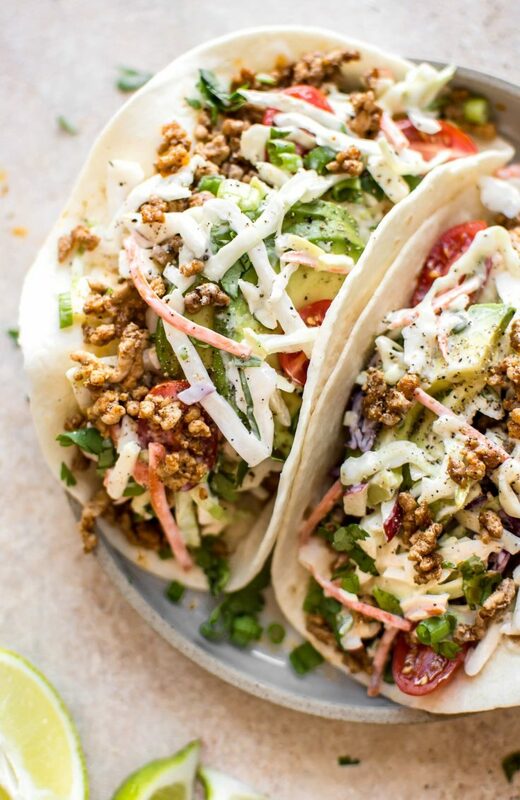 These easy recipes for tacos are perfect for every day of the week! 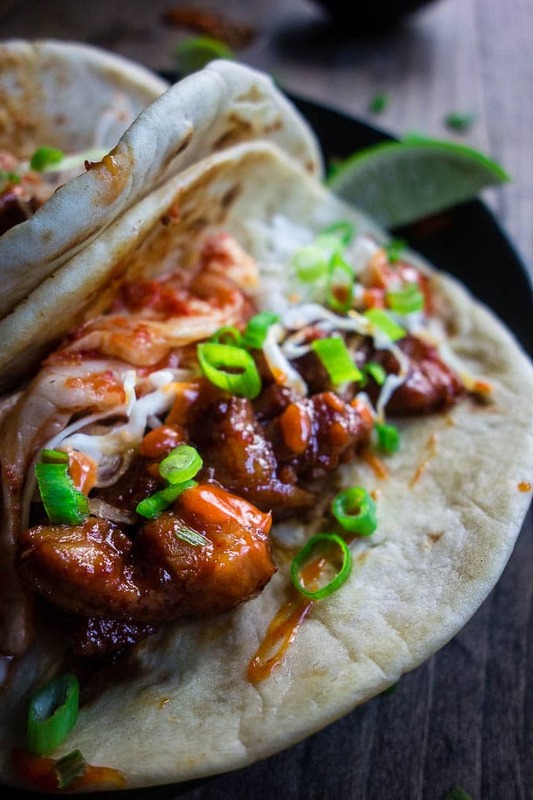 Spicy marinated Korean pork with cabbage, kimchi, onions and the most finger licking good gochujang (Korean chili paste) mayonnaise is served on a warm chewy flour tortilla. A flavorful combination of chicken and veggies for a delicious Mexican favorite. 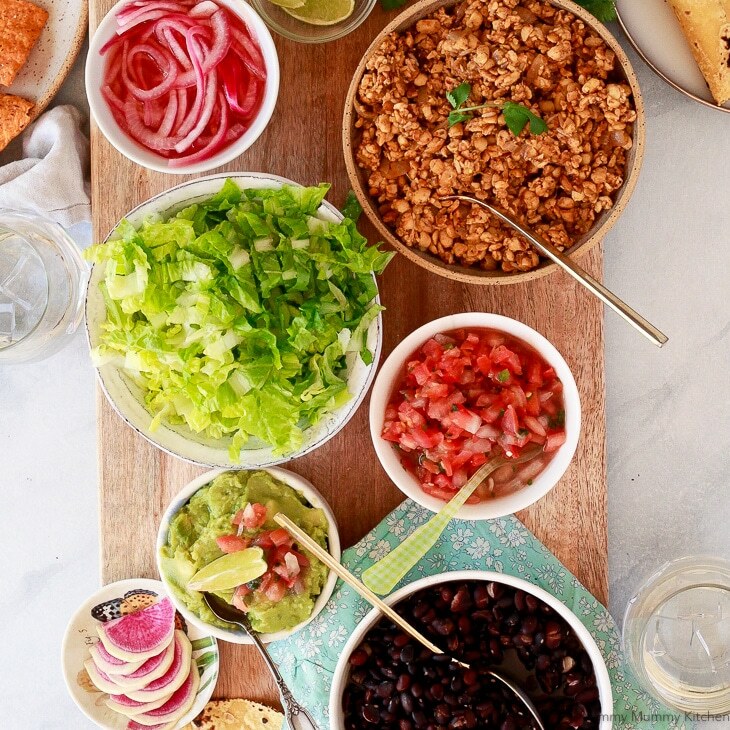 Easy ground pork tacos are a quick family-friendly meal that’s perfect for busy weeknights! Ready in under half an hour. 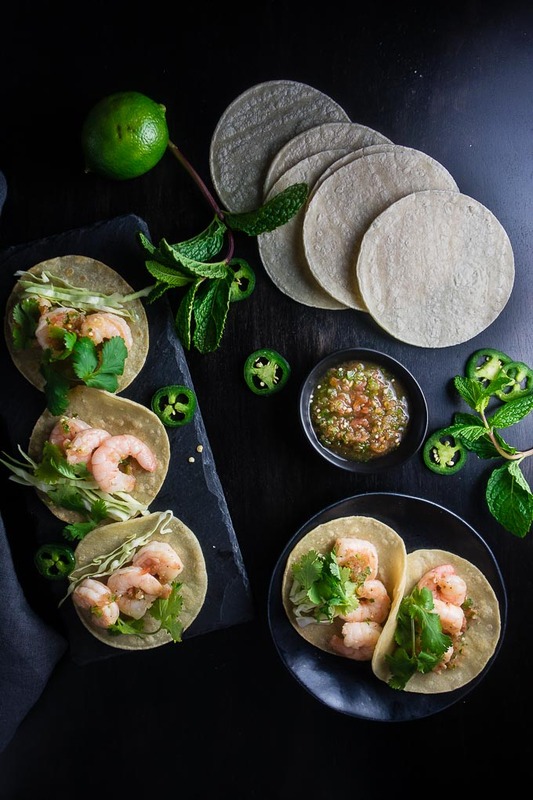 The shrimp are marinated in a mixture of fish sauce, garlic, sugar and lime juice, quickly stir fried, and served with the most AMAZING Vietnamese salsa! 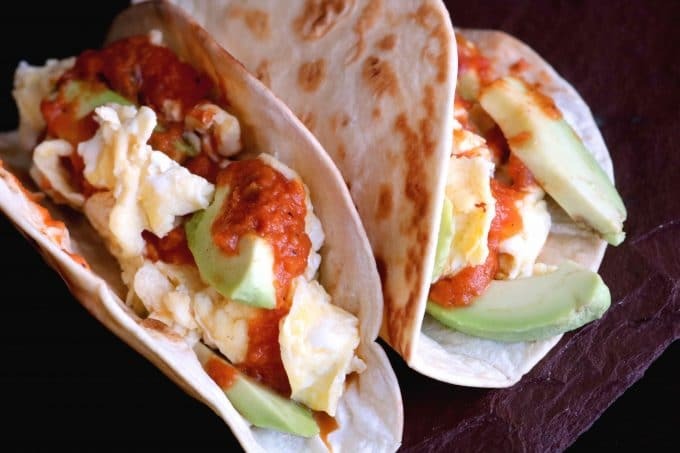 A recipe for healthy breakfast tacos with a Tex-Mex twist! Perfectly scrambled eggs and diced avocado are topped off with an easy-to-make ranchero sauce. 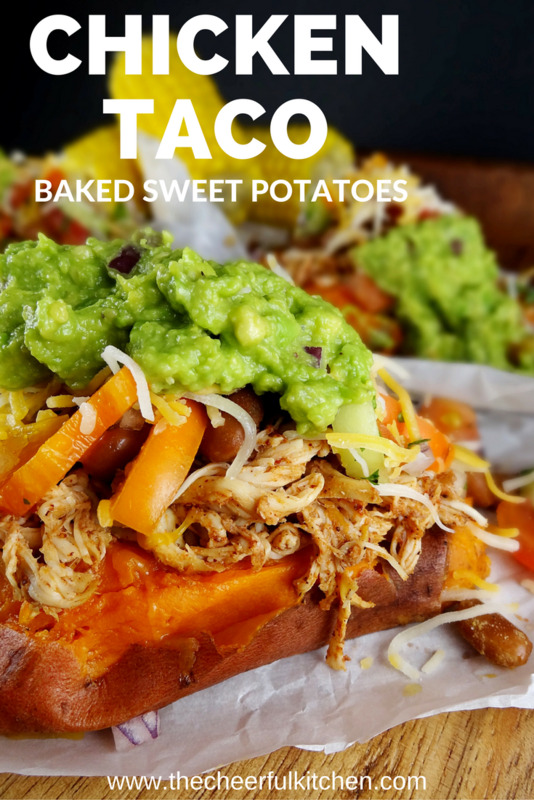 A creative alternative to your regular taco, these chicken taco baked sweet potatoes will be a new favorite on Taco Tuesday or for any other night of the week. 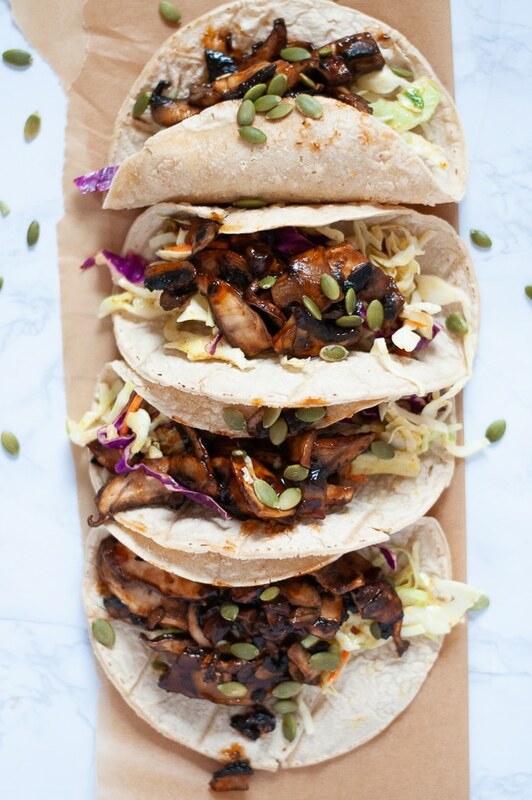 Barbecue pulled portobello tacos are coated in a sweet BBQ sauce and combined with a spicy mustard slaw to make the perfect easy summer meal. 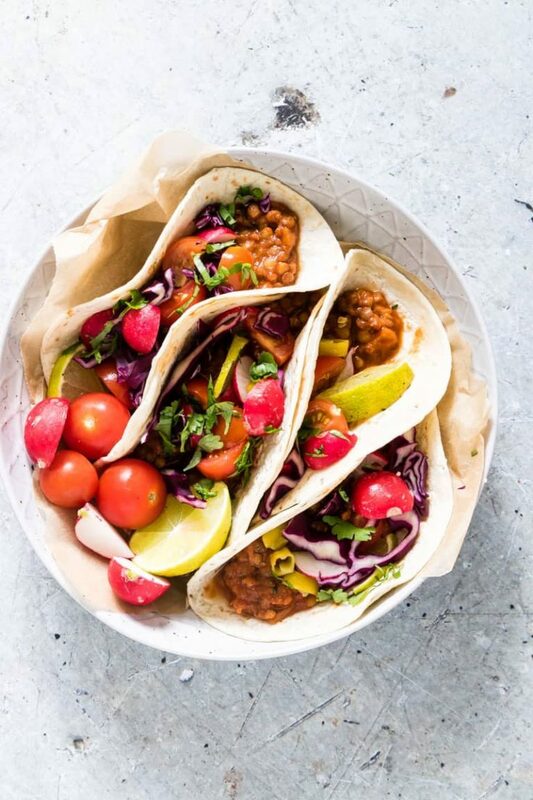 Easy Mexican Vegan Tacos / Mexican Lentil Tacos are sooooo good even carnivores won't notice they're meat-free. Suitable for Vegan and Gluten-Free diets. an easy plant based dinner that’s hearty and delicious. 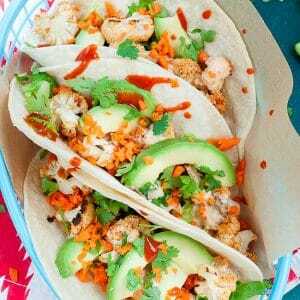 These protein rich vegetarian/vegan tacos are so easy that after you make them once you won’t even need a recipe. 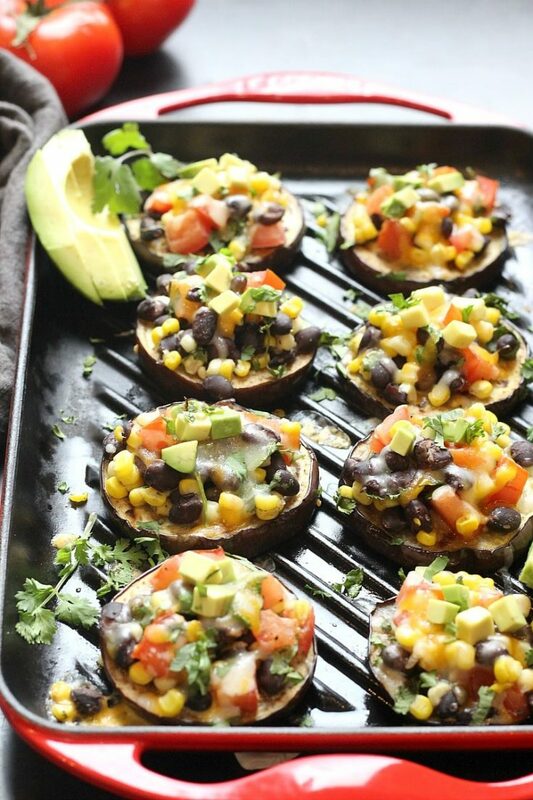 Baked with your favourite taco toppings inside, a great low-carb and low-calorie meal or appetizer option. 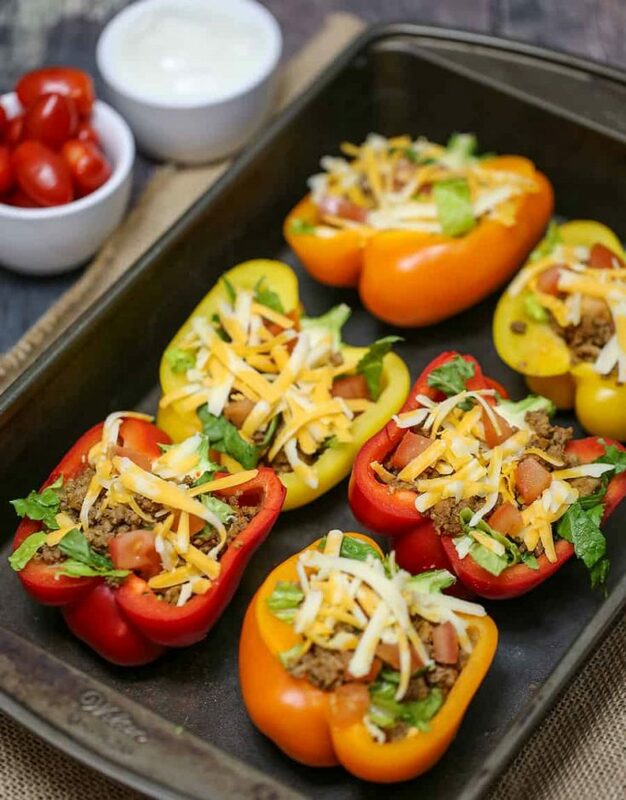 With this no-fuss recipe, pre-cooking the bell peppers is not necessary. 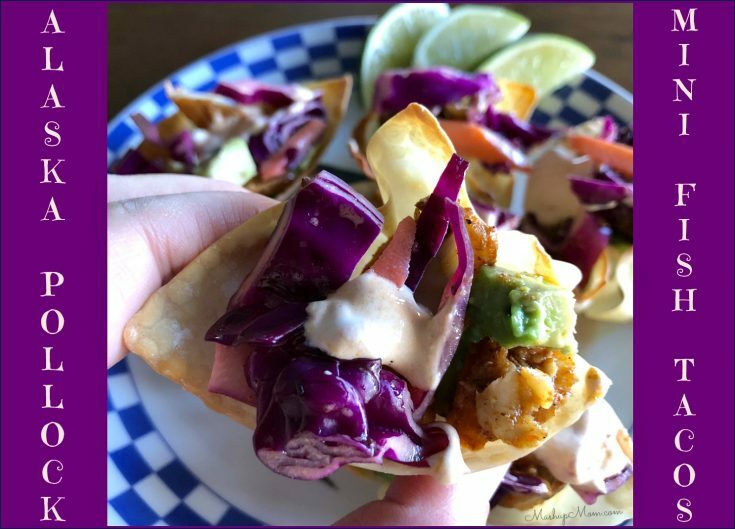 Soft & flavorful Alaska pollock goes so well with the crunchy mini taco cups, cabbage slaw, and creamy chipotle sour cream. 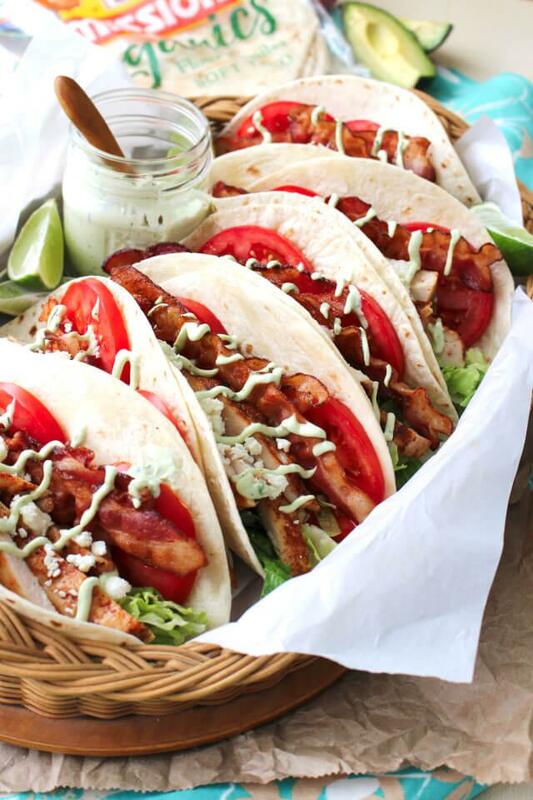 A fresh and summery twist on tacos made with classic BLT ingredients, dry-rubbed grilled chicken, and a cool avocado ranch drizzle. 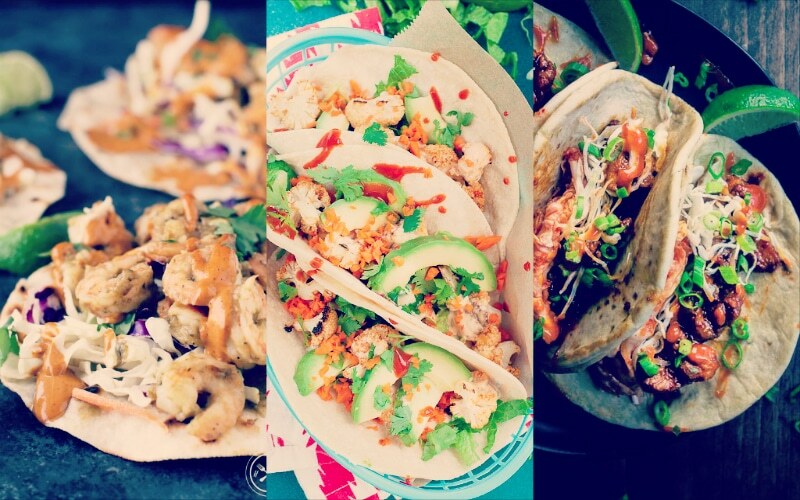 Interested in saving this Taco Roundup for later? Use the Pin button below to Pin To Your Favorite Board, or the others to share with a friend!